Financial analytics is extensively used for research in the equity and corporate bond markets. It plays a central role in the fundamental analysis of any business. 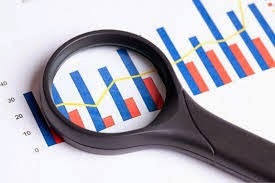 Fundamental analysis of businesses implies investigating its financial statements and health, competitive advantages, management, competitors and markets. Financial analytics assist businesses in implementing Business Intelligence and analytical tools to obtain accurate insights from the financial data that is required in formulating business decisions. The Banking, Financial Services and Insurance (BFSI) sector is employing financial analytics for improving standard financial functions namely asset and liability, general ledger, budgetary control, payable, governance, receivable, profitability, compliance management and risk. The development of innovative business models such as business-to-employee, business-to-consumer and business-to-business has extended new opportunities for financial analytics. Additionally, due to technological development and its influence on business processes in an organization along with high degree of automation in financial department for different financial transactions, is expected to drive the market growth. Thus, with changing technological environment, modern approach to financial data analysis is required across all types of industry verticals. The financial analytics market is developing swiftly owing to enhanced technologies in business analytics and BI and extended focus on data transparency. Moreover, increasingly rising data intensity and use of financial analytics as competitive differentiator is driving the financial analytics market. Security concern and large number of business dimensions are the primary obstructions in the financial analytics market growth. These barriers are restraining the business enterprises to implement financial analytics to support a broad range of applications. Demand for cloud analytics is the next big thing coming in the market and extends enormous opportunity for financial analytics. The advent of cloud computing has pushed the financial planning to a new level and is expected to have long term impact on the financial analytics market. Companies such as host analytics Inc., offer cloud service based financial analytics to the business organizations. The market for financial analytics is segmented by type, application, deployment type, and industry verticals. Types include data integration tools, Database Management System (DBMS), query, OLAP and visualization tools, reporting and analysis, analytical solutions, consulting and support services and others. Application segment comprises of assets and liability management, payables management, budgetary control management, profitability management, receivables management, governance and risk and compliance (GRC) management. Deployment type includes on-premise and cloud based. Industry verticals include banking, financial services and insurance (BFSI), healthcare and life science, consumer goods and retail, government, transportation and logistics, manufacturing, travel and hospitality, media and entertainment, telecommunication and IT, public sector and energy and utilities. Some of the major players in this industry segment are SAP A.G., International Business Machines Corporation (IBM), Oracle Corporation, TIBCO Software Inc., and MicroStrategy Inc., are active vendors in the market. These vendors offer financial analytics either in the format of individual solutions or incorporated into business intelligence suites. Some other companies in this market include Deloitte Touche Tohmatsu Limited, Hitachi Consulting Corporation, Information Builders, Fair Isaac Corporation (FICO), Microsoft Corporation, Symphony Teleca Corp., Teradata Corp, Tableau Software Inc., Rosslyn Analytics Ltd. and SAS Institute Inc. among others.